*Select projects; see CV for complete list. How do civilians respond when combatants harm them during the course of battle? Do they respond differently when harmed by rebels than by state/foreign forces? What explains variation in the vulnerability of insurgent violence to tips? What explains the Taliban's choice of violent tactics in its efforts to undermine Afghanistan's elections? Are higher ambient temperatures associated with greater risk of conflict? What do rugged terrain, ethnic diversity, and violent conflict have to do with one another? Do refugees tend to destabilize the communities within which they settle? Are combatants rational strategic actors, and, if not, how meaningful are deviations from rational calculation on conflict outcomes? 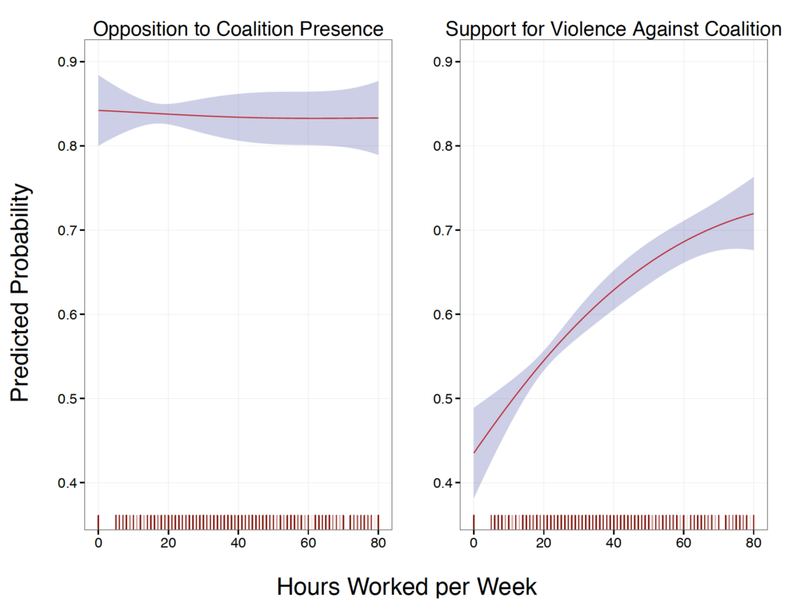 Why were unemployed Iraqis less likely to endorse the use of violence during the Iraq War? How does exposure to wartime violence affect individuals' sense of parochialism?